An experienced, notable and diverse line up of presenters and panelists scheduled to speak at the Locate Finger Lakes Summit later this month was announced today, highlighted by the event’s keynote address, that will be delivered by the Finger Lakes Times publisher, Paul M. Barrett. Panel discussions on economic development initiatives at the state and regional level, the newly created New York State Center of Excellence in Food and Agriculture housed at Cornell AgriTech in Geneva, and innovations in marketing the economic and business potential of the Finger Lakes region are topics that will be the focus of the Locate Finger Lakes Economic Development Summit. A highlight of the Summit will be the keynote address, to be given by Paul M. Barrett, publisher for the past decade of the Finger Lakes Times. Barrett is experienced in all aspects of the publishing business and led operations in the states of Texas, Mississippi and New York for Thompson Newspapers, American Publishing Company, Community Newspaper Holdings, and Community Media Group. He also has distinguished service as an active advocate for economic development and as an advisor to two Governors from his home state of Mississippi. The Summit will kick-off at 11:00 A.M. in the Emerson Park Pavilion in Auburn with a panel discussion of state and regional initiatives centered in the Finger Lakes. Moderated by Tracy Verrier, the panel will be comprised of the leadership of the three Empire State Development regions that serve the counties in the Finger Lakes, including Greg Albert, Economic Development Specialist from the Finger Lakes, Jim Fayle, Regional Director of Central NY, and Donna Howell, Regional Director of Southern Tier. The economic future of the Finger Lakes and the region’s critically important role in fostering innovative food production and delivery systems from field to fork will be the focus of the presenters from Cornell University. The presentation will be lead by Jan P. Nyrop, Associate Dean of the Cornell’s College of Agriculture and Life Sciences, and the Director of Cornell AgriTech, which is the site of the newly created New York State Center of Excellence in Food and Agriculture. The proposed New York Food and Agriculture Competition initiative will also be highlighted. Innovative marketing the economic development potential of the Finger Lakes Region will be the subject presented by one of the most dynamic and diversely experienced job developers in the Finger Lakes region today. Judy McKinney Cherry is presently the Executive Director of the Schuyler County Partnership for Economic Development, and served in the State of Delaware Governor’s Cabinet for six years as Director of Economic Development for the State. Locate Finger Lakes will host the Summit from 11:00 A.M. to 2:00 P.M. on Tuesday, October 30th at the Emerson Park Pavillon, on the shores of Owasco Lake in Auburn. Business leaders, economic development professionals, local community and regional leaders and interested citizens are all invited and urged to attend. Because seating is limited reservations are required by calling Locate Finger Lakes at 315-577-3796 or by clicking the button below. Locate Finger Lakes will convene our region’s economic development leaders to collaborate, network and discuss ideas and initiatives important to the future of the Finger Lakes Region. From: 10:30 A.M. – 2:00 P.M.
11:10 A.M. to 11:45 A.M.
11:45 A.M. to 12:10 P.M.
12:15 P.M. to 12:40 P.M.
12:45 P.M. to 1:10 P.M.
1:15 P.M. to 1:40 P.M.
Tracy has worked as the Economic Development Technical Specialist for the Cayuga Economic Development Agency since June 2013. In that role, she provided staff support to various economic development boards, including the Cayuga County IDA, Auburn IDA, and Auburn Local Development Corporation. In addition, she contributed to grant writing, underwriting for local loan programs, and various research initiatives. Verrier was also the Acting Director of the Cayuga Economic Development Agency before being hired as the Executive Director. Tracy has Master’s Degrees from the Maxwell School at Syracuse University, a Bachelor’s Degree from Drew University, and an Associate’s Degree from Bard College at Simon’s Rock. She is a member of the advisory board for the Auburn chapter of the Salvation Army and is a member of Auburn Public Theater’s a cappella group, Tonal Recall. Verrier and her husband, Ian Phillips, live in Owasco and are co-owners of Heifer Hops. Jim Fayle is a Regional Director for Empire State Development Corporation, New York State’s primary economic development entity. As Regional Director for Central New York, Mr. Fayle is responsible for promoting economic development initiatives in the five counties across the Central New York which includes Onondaga, Oswego, Madison, Cortland and Cayuga counties. Mr. Fayle also serves as the Executive Director for the Central New York Regional Economic Development Council (REDC) which has successfully brought in over $1.1BM into the region and has supported hundreds of projects that advance economic development strategies developed by the REDC since 2011, more than any other region in the state. In addition to his current role, Mr. Fayle participates in various community and civic organization including the Unmanned Arial Systems Governance Committee, Northeast UAS Airspace Integration Research Alliance (NUAIR), Syracuse Metropolitan Transportation Council and the Central New York Technology Development Organization. Prior to joining Empire State Development, Mr. Fayle was the CEO of Jefferson County Job Development Corporation and the Industrial Development Agency. He was involved in every aspect of economic development in Jefferson County for almost a decade. Mr. Fayle is an IEDC certified economic developer and holds a Master’s Degree in Public Administration from Carnegie Mellon University. 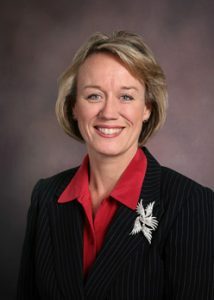 Donna Howell was appointed by Governor Cuomo in 2015 to serve as the Southern Tier Regional Director of Empire State Development, New York State’s lead economic development agency, where she partners with community, business, and academic leaders to direct state investment in support of job creation and economic growth throughout the 8-County Southern Tier region. Through this role she also serves as the Executive Director of the Southern Tier Regional Economic Development Council, which has directed more than $322 million in public support through 573 projects leveraging more than $1.9 billion in total investment in the region since 2011. Spending over decade in state service, Donna previously served as the East Central Regional Manager for the Illinois Department of Commerce and Economic Opportunity, and Director of Constituent Affairs for former Illinois Governor Pat Quinn. Donna holds a Bachelor of Science in Political Science from Northern Illinois University and a Masters of Public Administration from the University of Illinois-Springfield. Greg has been with the Finger Lakes Office of Empire State Development in his role as an Economic Development Specialist since January 2018. In his role with Empire State Development Greg assists with project implementation in the nine-county Region including assistance with the Finger Lakes Regional Economic Development Council. Prior to his position at Empire State Development, Greg served as Senior Planner for Economic Development with the Genesee/Finger Lakes Regional Planning Council for over 9 years working on a variety of projects including serving as the Regional Economic Development District for the U.S. Department of Commerce Economic Development Administration. Greg holds a Master of Urban and Regional Planning, State University of New York at Buffalo and a Bachelor of Arts, Political Science, Canisius College. A native of Mississippi, Barrett grew up in the Memphis, Tennessee area. He graduated from Arkansas State University, the University of Arkansas, and the Kellogg School of Media Management at Northwestern University. Barrett began his publishing career in Dallas, Texas, in 1981 with Royal Publishing, a regional magazine publishing house. He has published newspapers for Thomson Newspapers, American Publishing Company, Community Newspaper Holdings and Community Media Group. Barrett has been an active advocate for economic and community development and has served two terms as Chairman of the Board of the East Mississippi Business Development Corporation. Following on the heels of the Nissan Motors move to Mississippi, Barrett served on the Kia Motor Company Development Task Force for Governor Haley Barbour as well as serving on the Governor’s Katrina Advisory Committee after the devastating storm rocked the state. He also served on the Board of the Mississippi Economic Council, under Governors Barbour and Fordyce. After 10 years as Publisher of the Finger Lakes Times Barrett is retiring at the end of the year. 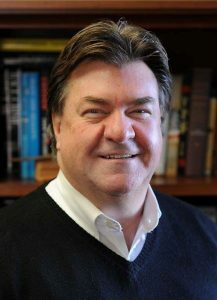 He will continue to serve as President of Finger Lakes Publishing and as Vice President on the Board of Directors of the parent company Community Media. Among other plans, he will look for redevelopment opportunities in the Finger Lakes on behalf of CMG. About Jan P. Nyrop, Director of the Cornell University Agricultural Experiment Station, Goichman Family Director of New York State Agricultural Experiment Station, and Associate Dean, College of Agriculture and Life Sciences. 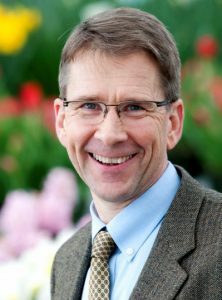 Jan Nyrop, Professor of Entomology, is the Director of the Cornell University Agricultural Experiment Station (CUAES) and is the Goichman Family Director of New York State Agricultural Experiment Station (NYSAES). Jan was a key leader in the rebranding of the Station to Cornell AgriTech. As Director he provides overall leadership for both experiment stations by working to align experiment station programs and activities with college priorities, administers federal funding to support agricultural and life sciences research, oversees research program development and promotes integration of research and its application to improve communities and peoples’ lives. Previous to his appointment as Director of CUAES and NYSAES, Nyrop served as a senior associate dean of the college for nearly nine years. In this role his responsibilities included faculty affairs, department and program reviews, sponsored research oversight, management of core research funds, and academic aspects of facilities and human resources. Nyrop’s academic appointment is in the Department of Entomology at Cornell’s Geneva Campus with responsibilities for research and teaching. Through his research he works to develop concepts and tools needed to improve management of arthropods in crops and natural systems. He is especially interested in improving the effectiveness of natural enemies for controlling pests, in improving how decisions are made to control pests, and in applying quantitative tools to better understand the ecology in arthropod pests and the plants they feed upon. Nyrop annually teaches a course each fall entitled “Invasions: Trading Species in a Shrinking World” which addresses the biological, economic and philosophical aspects of species invasions. Nyrop received his B.S. in Wildlife Ecology from the University of Maine in 1977. He conducted his graduate studies at Michigan State University where he received an M.S. in Entomology in 1979, an M.S. in Systems Engineering in 1982, and a Ph.D. in Entomology in 1982. He joined Cornell as an Extension Associate in the IPM program in 1982, became an assistant professor in Entomology in 1985, was promoted to Associate Professor in 1992, and to Professor in 1999. Judy McKinney Cherry is presently the Executive Director of the Schuyler County Partnership for Economic Development, and served in the State of Delaware Governor’s Cabinet for six years as Director of Economic Development for the State. Judy is currently the Executive Director for the Schuyler County Partnership for Economic Development in the heart of the Finger Lakes within New York State. Previously, she was principal of New Growth Strategies (NGS), a boutique consulting firm specializing in innovative business strategies for private, public and not-for-profit sectors. Judy is a certified professional economic developer with over 20 years of experience in the combined areas of demography, information technology, Geographic Information Systems, economic development strategy & tactics, community-based services and health-related non-profits. She is a seasoned professional who is candid, results-driven with a deep industry knowledge and experience. Her understanding of current market practices and perspectives enables NGS to provide tailored solutions based on specific business needs, situations, and culture. Judy served in the State of Delaware Governor’s Cabinet for six years as Director of Economic Development with responsibility for managing and leveraging over $1b in assets. The Department was responsible for Financing, Workforce, Tourism, Small Business, Technology-based Business, Clusters, and Main Street programs. She led a team in creating an innovative program to transfer commercializable intellectual property from Fortune 500 firms to the State of Delaware that, when bundled with financing programs, stimulated high technology start-up businesses. She led the state department to excellence and organizational certification – one of only two state organizations in the United States to achieve this level.She championed the implementation of robust reporting, benchmarks and performance standards, culture of innovation, and business approach including evaluation based on return-on-investment calculations. She has successful international business development expertise and familiarization of Arab World (Kingdom of Jordan), United Kingdom, France and Belgium and hosted foreign dignitaries from China, Japan, and Taiwan. Prior to her Senate confirmation, she was a leader in an IT services business for eight years with profit/loss responsibilities for several regional locations.